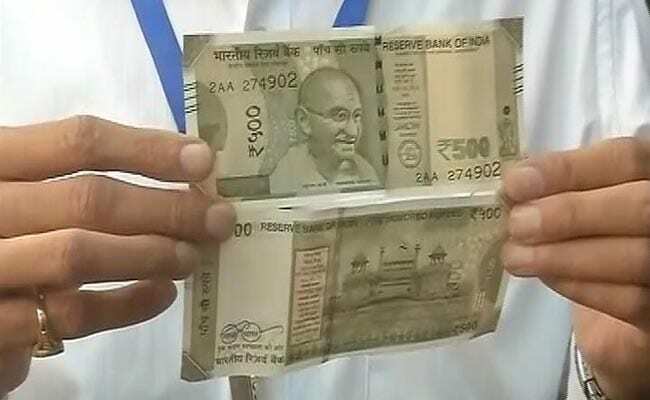 The Reserve Bank of India further said the design of the new Rs 500 notes is similar in all respects to those belonging to the Mahatma Gandhi (New) Series. The Reserve Bank of India or RBI is in the process of issuing a new batch of Rs 500 banknotes. In a notification dated June 13, 2017, the central bank said: "In continuation of issuing of Rs 500 denomination banknotes in Mahatma Gandhi (new) series from time to time which are currently legal tender, a new batch of banknotes with inset letter 'A' in both the number panels, bearing the signature of Dr. Urjit R. Patel Governor, Reserve Bank of India; with the year of printing '2017' on the reverse, are being issued." In the existing series of Rs 500 banknotes, first announced on November 8 when the government in a surprise move announced demonetisation of Rs 500 and Rs 1,000 notes in its fight against black money and corruption, the inset letter "E" can be seen in the two number panels at the upper-left and lower-right corners of the front side. The Rs 500 notes bear the year of printing and the Swachh Bharat logo printed and an image of Red Fort on the reverse side.